I wanted to tell you about some products I am loving lately. 1. 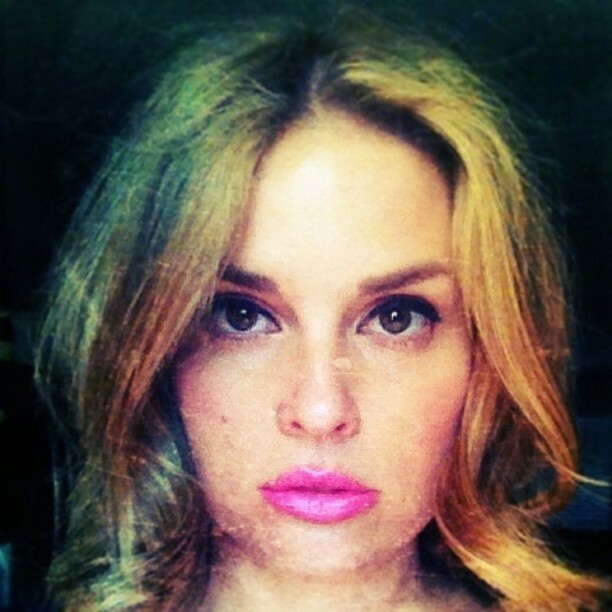 I'm loving Maybelline COLORsensational The Vivids lipstick in Pink Pop. I almost didn't buy it because the color is so bold and so vivid, but I thought it was worth a try, and I could return it if it's just too much. I loved it at first pout. Yes it's bright, it's bold and it's out there--I mean it's almost florescent--but I love it. It's creamy, moisturizing and it lasts. In the past, I didn't gravitate toward Maybelline products, but lately they've impressed me. 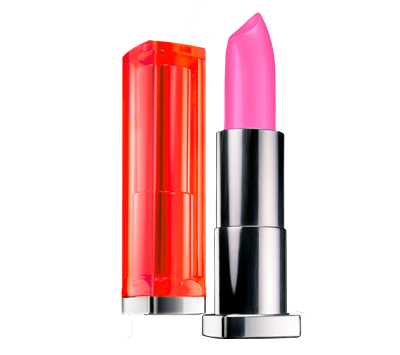 If you're looking for a bright, bold pink I highly recommend checking out this product. 2. I haven't bought Wet n Wild products in forever, but after reading a review of a similar product on another blog, I thought I'd give it another go. I'm impressed. I got the Wet n Wild Color Icon Collection Eyeshadow Trio in Sweet As Candy. The colors are great. I love wearing pink tones (if you can't tell), and these are just right. I usually try to keep my eyes pretty natural looking and not too dark because I love eyeliner and want that to stand out, and this product adds color while looking natural. They even indicate where to use each shade. One worry about inexpensive eyeshadow is creasing, but I can honestly say that this product does not crease and it lasts. Here I am wearing both these products.